Morpheus.Network is one of the most highly anticipated supply chain projects to utilize emerging technologies and we are pleased to present our business model update. In this announcement, we’ll review the key strategies that support Morpheus.Network’s revenues and fees: standard and integrated modules, platform resellers, and masternodes. We recently surveyed more than 500 leading supply chain executives. Better Supply Chain Visibility (58%) and Import Export Compliance (42%) are considered as the two most important drivers for automation investment. Together with leading importers and exporters, Morpheus.Network has analyzed several compelling use cases with disconnected flows: goods, documents and payments, massive pain points and inefficiencies. 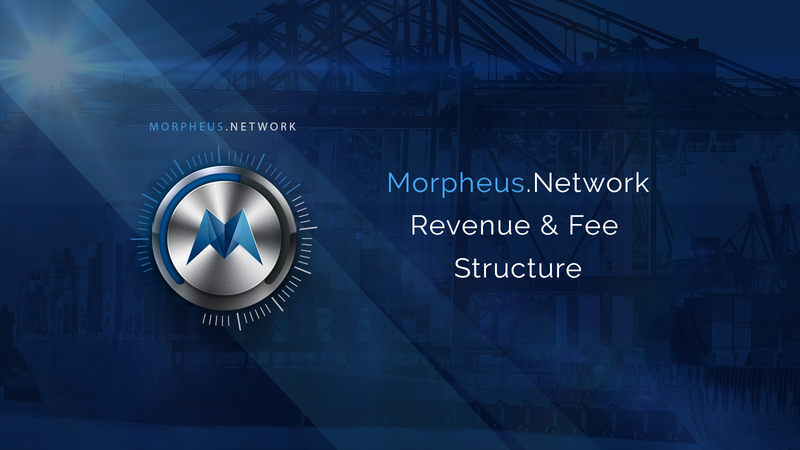 The process of discovery, working with real customers and analyzing the data generated has given us the clarity to articulate a coherent and aligned strategy for Morpheus.Network’s revenue and fee structure. Our customers rely on Morpheus.Network to access emerging technologies, such as IoT, artificial intelligence, and a distributed ledger, to solve real-world problems related to high costs and inefficient supply chains. Our middleware solution and revenue streams are centered around cost savings and unlocking new opportunities of growth for our customers. Our revenue model is based on the following: Annual Platform Revenue (APR) = Software as a Service (SaaS) + Global Settlement Fee + Integrations & Services. Our SaaS recurring revenue is based on automated workflows for executing global supply shipments. Pricing is tiered by shipment type and volume. Reseller agreements with independent software vendors (ISVs) and value-added resellers (VARs), Ambassadors and custom module development are at the center of revenue model. A standard 1% fee is charged to the end user only when the platform payment module is used for Global Settlement. “Integrations & Services” include professional services for business processes and integrations, as well as data driven services (ML/AI) for specific use cases. Revenue will always be collected directly from the end user by Morpheus.Network. From these funds collected, Morpheus will distribute payments to participants in the Morpheus ecosystem, including Morpheus Network Solution Providers, Module Developers and those involved in helping to secure and optimize the network, including Masternode operators. Our SaaS business model is based on executing global supply shipments (GSS), where end users can create their own workflow using modules and automation. Platform Resellers can work directly with organizations to help us meet a wider audience faster and at a lower sales cost. Morpheus.Network has already engaged with partners for transactions in the US, Mexico and Canada for completing cross-border shipments in the USMCA region. We expect to onboard more territories in the coming months. The Morpheus.Network Solution Provider agreement distributes a percentage of the net revenue to those interested in becoming a reseller, which are negotiated independently. Our Ambassadors are valued members of the community and contribute directly to the growth and success of the platform and ecosystem by leveraging their contacts in a given territory and referring qualified enthusiasts to Morpheus.Network. Value-added services and custom integrated module development are at the core of Morpheus.Network’s Visibility capabilities that leverage a wealth of devices from GPS, Telematics, RFiD and IoT. In addition to the standard modules developed by Morpheus.Network, partners, developers and community members may create their own solutions to solve new use cases faster and with a better user experience. Actual examples include the Compliance documentation required for Beef Exports to the USA. In the first phase of the partner program Morpheus.Network intends to distribute up to a percentage of the global net revenue collected by custom modules directly to the developers of those modules. In the future, Morpheus.Network plans on launching a third party marketplace to incentivize solution providers. One of the key drivers in the growth of global commerce is transacting with new counterparties in a trustless manner. This requires integrated payments as part of the automated workflow. With Morpheus.Network’s integrated payment module, the 1% fee for global settlement is seamlessly processed in the back-end of the platform to solve the pain points associated with high transaction fees, exchange rate losses, and expensive delays typical of global trade. Our MRPH utility tokens will continue to operate as the backbone of the network. Settlement terms are variable in different use cases. Usage of Morpheus.Network’s integrated payment module is not compulsory for end users and we ensure compliance with all international laws. Morpheus.Network is intended by design to be a mission critical service that our end users rely upon to be accessible 24 hours a day, 7 days a week, 365 days a year. Morpheus.Network expects global commerce to continue to grow and operating that network is going to require constant monitoring, security and network resource management to comply with service levels and scalability. We believe the best way to accomplish this is via the use of a decentralized masternode-based system that will allow participants in the Morpheus.Network ecosystem to help secure, optimize and scale the network as needed, while also being rewarded for their assistance. Morpheus.Network is planning to distribute a percentage of the net revenue as reward to partners that help us secure, optimize and scale the network. The basic concept of masternodes is explained in this informative video from our Head of Legal Grant Gulovsen. Node details will be included in future announcements as they become available. Morpheus.Network is excited to communicate these new opportunities as we ready for public launch in the coming weeks. Please follow us on Telegram, Twitter, our newsletter, and here on Medium as we continue to deliver more exciting news!